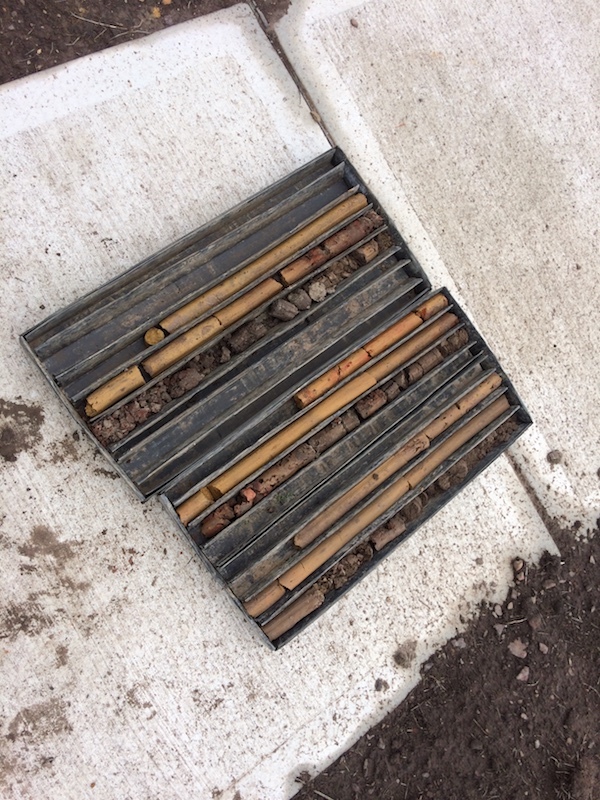 If you’re planning on building you will need to get a Soil Test done – or a Site Classification Report as it is known in the industry. Soil Tests are an important part of the design and building process, providing integral information on the site and soil conditions present – at Smolders Geotechnical Pty. Ltd. we also provide footing recommendations for the engineer/draftsman/builder so they can design and construct a footing system appropriate to the site and conditions. Soil Tests are conducted in accordance with Australian Standard AS2870-2011 – Residential Slabs and Footings. What does it cost for a soil test? If you are completing an upper storey extension or building up against a neighbouring footing you will find that a Footing Probe of those foundations may be required. This is where we would expose, measure and confirm foundation material, condition and bearing of the footing and provide the information so that your engineer can design appropriately. Things that can affect footing probe fees are if there is concrete paving, obstructions or an existing wall in its place. Concrete can be cut for additional fees. Normal fees for footing probes start at $150.00 plus GST. Your project or planned development falls outside the scope of AS2870-2011 – Residential Slabs and Footings. Your soil test is required to become and Geotechnical Site Investigation. This is for all projects that fall outside a normal residential setting. Houses with basements included. 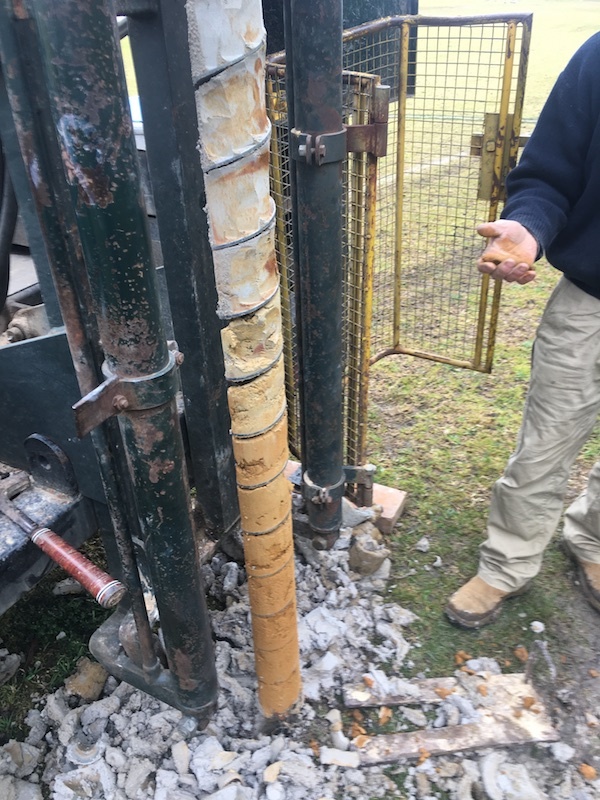 The cost of completing a geotechnical investigation is totally dependant on the project, engineers brief and site requirements and depth of testing. Travel fees – if you are located outside metro Melbourne or nearby country you may have a travel fee quoted. This is usually based on the km distance travelled. How Long Does a Soil Test Take? Under normal circumstances the time it takes to complete a soil test onsite is dependent on what’s involved and encountered. Normally 20-30 minutes up to 2 hours in some cases. The time from acceptance of a quotation to the completing of fieldwork is usually 2-6 business days with your report ready within a few days of fieldwork most the time. Like every industry there are differences between companies on what is provided and how much it costs. Every company will do things in their own way and present information as they choose. One thing that people often don’t realise is that you are paying for a professional opinion and recommendations based on the investigation undertaken. Its not as simple as getting a soil test and no matter who you use the result or info will be the same. We complete soil tests/site classifications & geotechnical investigations for some of Melbourne’s best engineers, draftsmen and builders. At Smolders Geotechnical Pty. Ltd. you are getting experienced, qualified staff (some with over 30 years in the industry) start to finish – your fieldwork completed by qualified experienced staff, your report written by qualified experienced staff – no technicians or people with irrelevant qualifications and/or no experience. The Soil Test is for the footings of your structure/dwelling, it is important to use someone you trust – the consequence of getting things wrong at this stage can end up costing you thousands more than is required by having a less detailed soil test or one that is incorrect – on the other end of the scale you may end up with an underdone footing system resulting in problems down the track. Both extremely costly exercises. Always ensure that your Geotechnical Consultant has insurance – and a level of cover great enough to cover your project. Are they completing a detailed field investigation? Are the boreholes to a sufficient depth or is there enough of them? What am I actually getting for my money? Some people offer soil tests that will give you a site classification: P/M/H1/S etc. and that’s about it – footing recommendations are helpful guidance for your other consultants – we provide with every report footing recommendations specific to the type of footing you are proposing to use – timber floors/concrete slabs etc. If there are conditions on your site that need special attention or are best treated with a particular type of footing, we will give you the recommendations. Your engineer or builder has a question or needs an inspection? We always have someone ready to help, answer your queries etc. With multiple staff and drilling rigs we are on the road and around often – we can attend to your inspection promptly. to find out the soil testing cost for your property.